Before deciding what kind of seasonal plantings and adjustments you want to make in your yard, take some time to evaluate what it already looks like. At this point in the year, some of your annuals may begin showing signs of weakening. Notice the areas where it looks like there will be gaps in your shrubs, grasses, or garden. These are the places where you may want to add new shrubs or plants to keep your yard looking vibrant. In some cases, it’s okay for certain areas to look differently in the fall - it all depends on your tastes and seasonal preferences. In the autumn season, we recommend planting hardier trees and shrubs. An added benefit of this is that many of these plants will provide beautiful blooms into the late summer and early fall. One of our favorite examples of this is heptacodium, a pretty shrub or tree that is known for its multicolor show of white flowers followed by deep red calyces that often last into November. 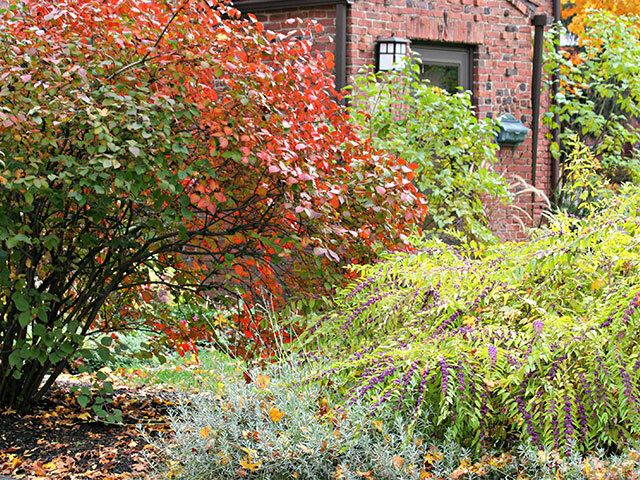 Other examples of nice perennials in the fall are callicarpa (Beautyberry), asters, and fothergilla. There are also some nice grasses that provide a lush look through the autumn season, such as fountain grass. Remember that some ornamental grasses need to be planted in the fall so that they can bloom in the warmer months. Even as the weather cools down, you’ll need to continue caring for your plants as you would during the height of summer. Keep up your regular schedule of weeding and pruning so that your plants stay in top condition. 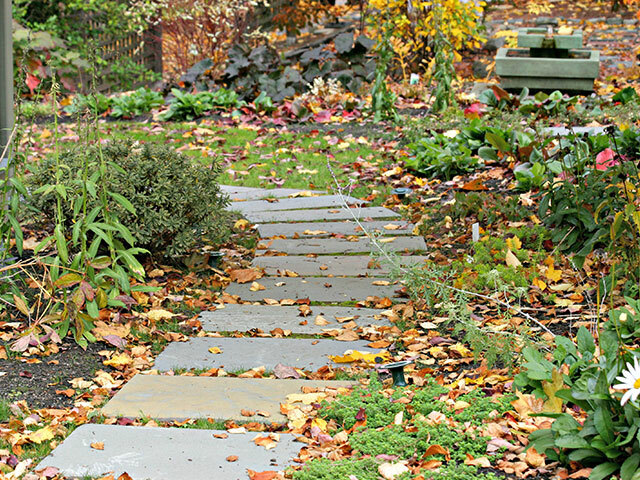 Take the time to regularly inspect your yard while you can, before the cold temperature makes it difficult to evaluate. Now is also the time to ensure your gardening tools for fall are in good condition. Make sure you have things like rakes, gloves, and wheelbarrows on hand and functioning. If you plan to aerate your soil or treat it with an organic fertilizer blend, now is the best time of year to do so, since these treatments will reach the deeper roots of your lawn more easily. While the warmer weather will be ending soon, fall has an entirely new set of interest and plant life. As you start to enjoy the crisp temperatures and colors beginning to change, remember to follow the steps above for a healthy yard all year. If you need assistance with these or any other processes that will create a beautiful outdoor space, contact us today.